Chanteuse Country US née Jill Byrem, le 13 Octobre 1948 à Bloomsburg (Pennsylvanie). Eclectic and bluesy, Lacy J. Dalton was one of the most distinctive female country singers of the '80s, landing a few hits on the strength of her gritty, nuanced Vocalss. Dalton was born Jill Byrem in Bloomsburg, PA, in 1948 and grew up in a highly musical family; her first loves were folkies like Bob Dylan and Joan Baez, but she also soaked up country music through her father. She briefly attended Brigham Young University but dropped out and drifted around the country for a time; she eventually went to Los Angeles, then migrated to Santa Cruz, where she performed as a protest-oriented folksinger. During the late '60s, she sang with a Bay Area psychedelic rock band called Office; she also became Jill Croston when she married the group's manager, though, sadly, he died in a swimming pool accident. 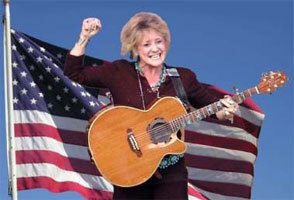 She went on to reinvent herself as a country performer, adopting the stage name Lacy J. Dalton, and landed a deal with CBS when producer Billy Sherrill heard her demo tape in 1979. Her Top 20 debut single, "Crazy Blue Eyes," helped her win the CMA's Best New Artist Award, and she scored an impressive run of hits over the next three years, highlighted by "Hard Times," "Tennessee Waltz," "Hillbilly Girl with the Blues," the number two smash "Takin' It Easy," "16th Avenue," and "Everybody Makes Mistakes" (all but "Tennessee Waltz" made the Top Ten). Dalton's albums also received strong reviews for their adventurous, borderless taste in material, particularly her self-titled debut. A 1983 cover of Roy Orbison's "Dream Baby (How Long Must I Dream)" was her final Top Ten entry, but she continued to record for CBS through 1987; part of her commercial slide was due to her ambitious stylistic shifts, as she devoted attention to rock-oriented material (1986's Highway Diner, whose "Working Class Man" was a decent-sized hit), blues, and bluegrass. 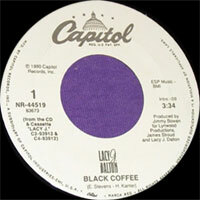 She subsequently departed for Capitol, where she recorded four albums through 1992. In 1999, she assembled the Wild Horse Crossing compilation, which featured several new tracks of her own and was released by her own Let 'Em Run foundation, which worked to preserve the wild horses of the west.